Our Scotland running vest is designed for technical performance and, of course, pride. 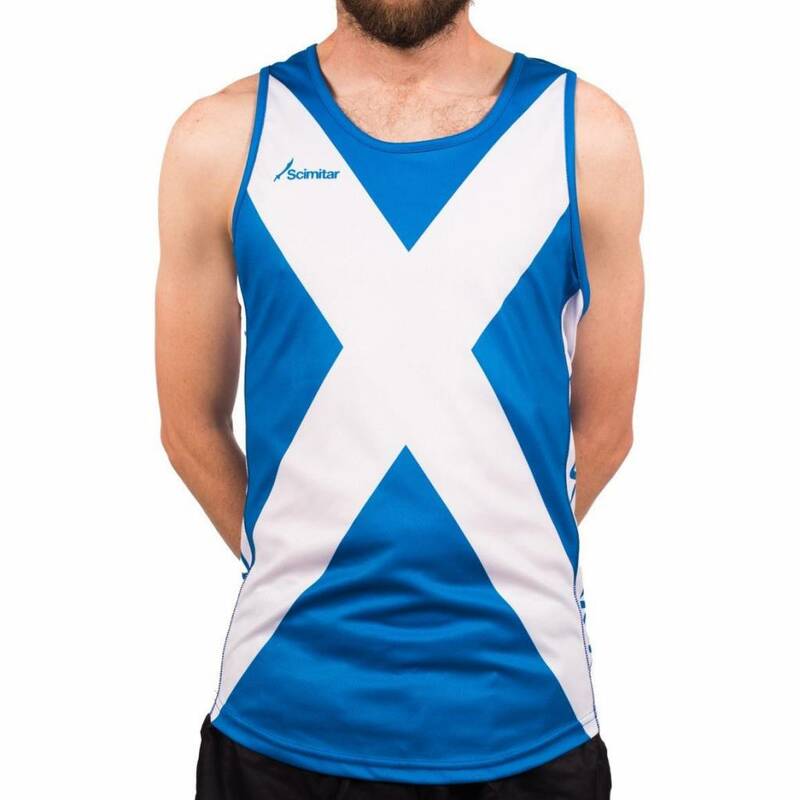 Featuring a full size St Andrews Cross (or the Banner o Scotland, if you prefer), the vibrant sublimation print of the Scottish Running Vest remains fade free, allowing the vibrancy of the blue to come through brilliantly. Our lightweight Qwick-Dri™ wicking fabric is cut specifically for an elite feel, rapidly wicking away excess sweat to keep you comfortable and dry when it matters the most. Please check the 'Size Chart' tab to confirm your size before ordering. Manufactured using high quality material and manufacturing techniques. Made with professional features and a high quality design. Made from 140gsm Qwick-Dri™ wicking fabric, keeping you dry and comfortable in all situations. A robust construction moves smoothly against your skin. Breathable side panelling keep you cool and ventilated. Completely fade-free printing, with quick drying capabilities for demanding scenarios.